Emerald cut Diamond Stud Earrings by NINACCI and sold by Bayside Jewelry. 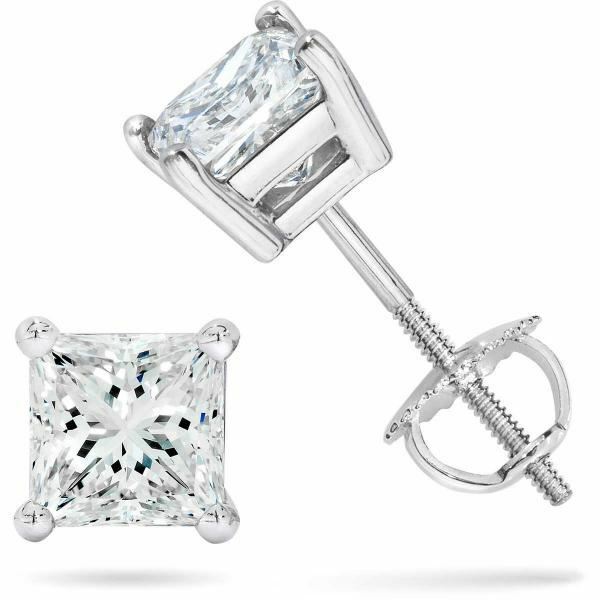 Screw back stud earrings in white gold with 4-prong set princess cut diamonds. D 0.47ct.t.w.